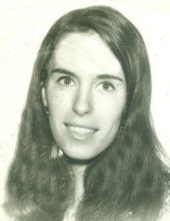 Lori Crysler, 67, of Solvay, passed away Wednesday, April 10, 2019 at University Hospital. Born in Kentucky, she moved to Syracuse in the early 1970s. A graduate of Central Islip High School, Lori earned her associate degree from OCC. She was employed with the Onondaga County Department of Social Services for nine years. Lori enjoyed reading real crime and watching horror movies and crime television. Above all, she loved spending time with her family. Surviving are her daughter, Shauna (Bill) Chernoff of Solvay; sons, Jamie (Suyupa) Crysler of El Paso, TX and Clint Crysler of Syracuse; mother, Frances Eyerman of Rome; and grandchildren, Alex Grant, Tyler Chernoff and Ricardo, Virginia and Joseph Crysler. Services will be Monday, April 15 at noon at the Buranich Funeral Home, 5431 W. Genesee St., Camillus. Burial will be private. In lieu of flowers, contributions may be made to Vera House, 6181 Thompson Rd., Suite100, Syracuse, NY 13206. To send flowers or a remembrance gift to the family of Lori Crysler, please visit our Tribute Store. "Email Address" would like to share the life celebration of Lori Crysler. Click on the "link" to go to share a favorite memory or leave a condolence message for the family.